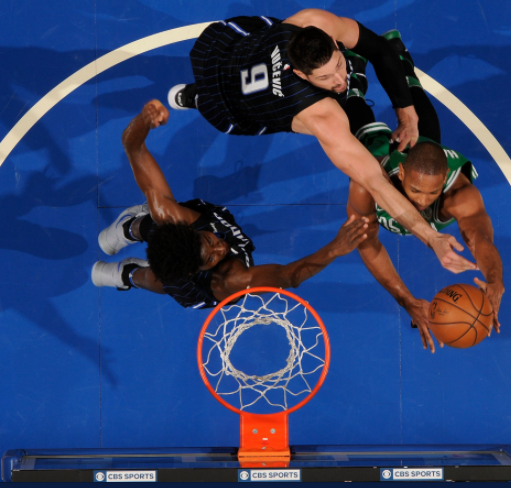 The Boston Celtics defeated the Orlando Magic 92 to 83 tonight, snapping a two-game losing streak and edging closer to locking up the two-seed as the postseason approaches. Terry Rozier and Greg Monroe carried the day for Boston with 17 points each, and Al Horford returned from a two-game absence (there seems to be a connection with winning, eh?) to log 15 points and 9 boards of his own. Abdel Nader and Shane Larkin chipped in 11 and 10 points respectively, demonstrating that this team can still eke out a win when the opposing team is trying to lose. While that last line may be a bit hyperbolic, the return to the black in the win column is a welcome reprieve from a seeming steady stream of bad news, so if you'd like to gloat a bit over the win, check the above video for all the game's highlights.